Insomnia can create a vicious cycle of anxiety that worsens the original sleep problem. The right CBT techniques can often break this cycle quickly. Megan came to see me for help with insomnia. She had the drawn look of the chronically tired. Sometimes people can’t get off to sleep, and sometimes they can’t stay asleep once they do manage to finally get there. Megan often veered between the two. How many folks do you know or simply pass in the street who are chronically sleep deprived? You can’t always tell, of course, just by looking. 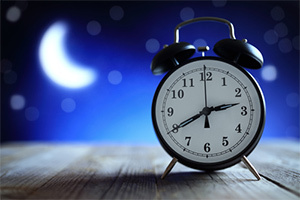 In the same study, the authors described insomnia rather neatly as the “behaviours, cognitions and associations that patients adopt as they attempt to cope with poor sleep but that end up backfiring”. This is interesting. It’s often the reaction to not sleeping, the worry, even anticipatory anxiety, that drives away the very thing we need. So why do so many people have problems sleeping? I have seen countless insomniacs over the years. Some have had physical problems. Insomnia affects around 44% of people with hypertension and cardiac disease and over 41% of those with breathing problems (not surprisingly! ).4 So it’s always important to check our client’s medical profile by asking them if they are physically well or whether they have been medically assessed. But, as we’ll see in a moment, insomnia can have not just physical but also emotional causes, as well as effects. Many clients, though, for no apparent reason, simply cannot sleep. Perhaps they’re prone to that self-made stimulant worry, or have simply gotten into the habit of not sleeping. Megan certainly spent a lot of time worrying about the effects of not sleeping. So what are the common effects of sleeplessness? Megan told me she found herself weeping at work over “stuff that wouldn’t normally matter!” As is the case for many insomniacs, her relationship had suffered as she had less spare capacity to focus on her lover. “When the insomnia’s really bad I can barely function at all!” she told me plaintively. Of course, we need good quality and quantity of sleep: that means about 6 to 8 hours of the right ratio of REM or “dream sleep” (about 25% sleep time) to recuperative deep sleep, during which the body’s healing and repair takes place. Megan needed my help. Here are some of the cognitive behavioural therapy (CBT) approaches I used alongside my hypnotherapeutic ones. Don’t lie in on the weekend. Yes, your client has a sleep debt, but don’t let them try to repay it on weekends. Sleep needs to be regular and habitual. Limit caffeine and other stimulants such as sugar. Ensure your client’s bedroom is dark enough. Keep the lighting level low – the darker the better. “Do you feel anxious now if you close your eyes and picture your bedroom?” I asked. Megan had built up an association between tension and her sleeping environment. Not great for promoting restful sleep. Obviously, we needed to address this. Some insomniacs, Megan included, have told me they sleep better away from where they normally sleep. I’m never surprised. The brain is a pattern-matching organ par excellence. It builds associations. I have been in the local store, seen a product and automatically heard in my head some bland and annoying jingle. I bet you have too. From PTSD to phobias, addictions to skill building, the mechanism in our brains for forming associations is immense and constant. There are two ways we can use this to our advantage. First, I asked Megan if she’d be happy changing her bedroom around: putting the bed in a new position and so on. She was. Secondly, I taught her how to relax deeply, then had her build a new calm association when she thought about her bedroom. She found this useful, she said. But she asked me what she should think about when “trying” to fall asleep. On the principle that with some things the more you try the more you scare it off, I next wanted to take the trying out of the insomnia. After all, who needs the pressure? It’s a catch-22. A double bind. The more you need to go to sleep the more awake you feel. The more you try the harder it gets. In fact, people may be more likely to fall asleep when they try to stay awake! Sleep is not something you can try to do. All we can do, I think, is create the conditions to invite sleep. When I told Megan this, she nodded. Note that I used a paradoxical intervention. If Megan succeeded in her task she would stay awake; if she “failed” she would fall asleep. And anyway, it would be useful to discover what she thinks about during the night. This brings us smoothly to the next technique. When we simply observe and let reality come to us, rather than try to impose our own thoughts or biases or habits onto reality, we are said to be mindful. We can watch our thoughts and even feelings, thereby distancing our association with them. We can develop the ‘observing self’. I encouraged Megan to simply watch and observe her own thoughts as she invited sleep but never demanded it come to her. I taught Megan about depressive and anxious thinking styles, which tend to be absolutist, all or nothing.17 I wanted her to be able to ‘see through’ and detach from these kinds of extremist thoughts, as she was prone to worry. I taught her a ritual of writing down any worries she had before bedtime and locking them away in a drawer. The next day she was to tear up the sheet of paper. The mind is symbolic, and this kind of simple ritual can have amazing therapeutic effects. I never want my insomnia clients to become too hung up on whether they are conscious or unconscious. I sometimes suggest that staying awake and relaxing deeply may even do more good than having fitful sleep. Again, we want to gently remove the pressure. As we fall asleep we pass through a world of semi-dreams called hypnagogia. We experience hallucinogenic ‘dream fragments’ rather than proper dreams (which don’t usually start until 50 or so minutes after we drift off). Self-hypnosis encourages and invites the hypnagogic process (of which we often have no conscious recall). The old technique of counting sheep in your mind does the same thing. As laborious as it may be, it encourages imagery in the brain and so may kickstart the journey into hypnagogia. I taught Megan some self-hypnosis techniques, which encouraged both the hypnagogic state and relaxation, and she became well versed in using these techniques for herself. She also enjoyed using the visualizations we practised similar to the ones in our sleep sessions to promote healthy sleep (simply asking your client to visualize some unstimulating activity can calmly lead them into hypnagogia). Pretty soon, I’m happy to say, Megan started to sleep through the night again. She said she felt like a new woman, like she really was, before sleeplessness had robbed her of happiness. Of course, you wouldn’t necessarily use all these techniques or approaches with every client, but I hope you have found something of value here. Back in 2010 this client was fired from his job. He had failed to deal with many thousands more parcels than had been forecast (by others) so he had been in an impossible situation. He was unemployed for six months as a result. Now he is in a similar job but feels constant and terrible pressure and fears that he might be fired again. He thinks about work all the time and never switches off. He dreams about work, wakes up at 4 a.m. thinking about it and feels he has to check his phone and email all the time. Mark checks for trauma, asks him to put away his phone at the end of the work day two to three times a week (to start with) and teaches him ‘The Three Things Induction’ to use for himself to help him sleep better and relax. The client also feels he has to take on the problems of other staff. Mark manages to find a resourceful state of mind and works to help him access those tranquil feelings in order to switch off from work more easily. Members of Uncommon Practitioners TV can watch this session now, and if you’d like to join the online community, you can sign up here to be notified when UPTV is open for new members.